Thank you to everyone who participated in AZ Utopia’s one-year anniversary giveaway. We wish that we had prizes for everyone. 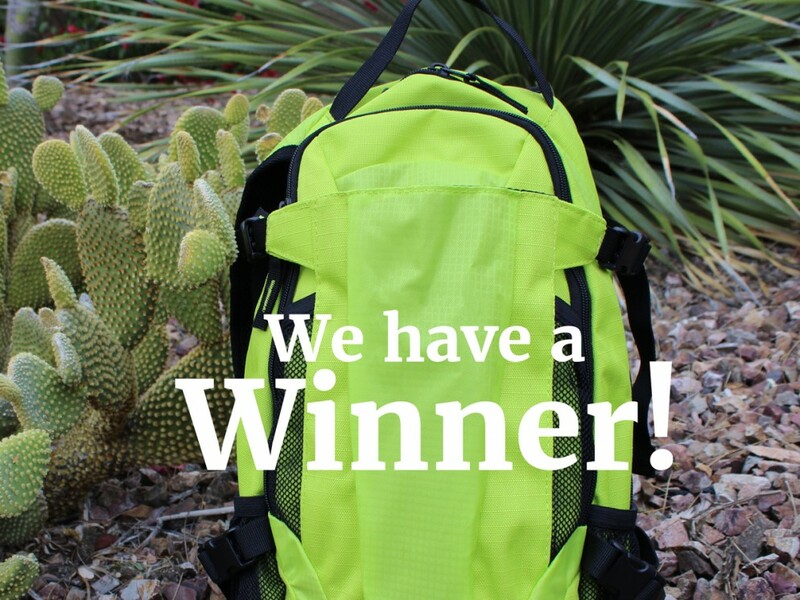 But alas, anselrhead, is the winner of a Quest 2-liter hydration backpack as a result of their following us on Instagram! We really appreciate everyone who signed-up to receive AZ Utopia emails and/or followed us on Instagram. We look forward to keeping you up to date with new hiking information. The Anniversary Giveaway drawing took place at midnight, Monday, February 29th, with one winner drawn at random from the current list of AZ Utopia email subscribers and Instagram followers. AZ Utopia family members were excluded from participation. The winner has been contacted to receive the prize noted below. This promotion was in no way sponsored, endorsed or administered by any entity other than AZ Utopia. Congratulations! Features: Integrated PE sheet delivers back support on the trail. Dual side compression straps help keep load and gear in place. Storage: large, main compartment with zipper. Small compartment with organizer. Stretch mesh exterior pockets.